Imagine both your militia and the opposition have similar levels of warzone control; you both control roughly half of the warzone and most of your systems are upgraded, giving your both reasonably high warzone control scores in the second or third tier. Neither side really has the power or inclination to dominate the other, and you're content with skirmishing over a relatively static front line. In this situation, both sides can maximise their income by capturing unimportant low level systems close to the front line, and allowing their opponent to do the same. Both militias focus on offensive plexing and while they may defend systems for a good fight, they're not really interested in wasting time decontesting or defensively plexing them - the systems the opposition takes today will be the ones you'll take back next week. This is what Susan is proposing for the minmatar in their current position. In this scenario, one side has achieved significantly higher warzone control than the other as well as having enough of a numerical and organisational advantage to ensure that any system they lose can be easily reclaimed (whether the minmatar can currently do so is open to debate, however let's imagine a hypothetical scenario where such an advantage is overwhelmingly the case). Here the gains for the winning side from flipping systems back and forth are even greater, while the rewards to the other team are relatively low. As the dominant militia you want to be constantly capturing systems in order to maintain your LP flow, however this is only possible so long as the opposing militia has systems which you can take easily. If you take all of their systems and force them into hisec, you can no longer capture systems. If you reduce the opposing side down to a few key systems, these systems will be heavily defended and you will need to work much harder (and lose many more ships) in order to claim your LP. Solo plexing in a heavily defended system is much more dangerous, causing LP generation for solo pilots to dry up substantially. The answer is to allow the opponent to overreach, ensuring they always have enough systems that they cannot realistically defend all of them. You need to control the situation carefully, allowing the opposition to capture unimportant systems (ideally without stations) which are as close or closer to your own staging systems than they are theirs - these systems will be much easier to retake. Allowing systems to fall deep within your own territory is ideal, because these will be very difficult for the opposition to defend. Ultimately though, any time spent defending a system is time wasted from an LP point of view - providing the system that your opponent is attempting to capture would not upset the strategic balance, you're better off allowing them to take it while you capture a system elsewhere. This strategy relies on a fine balance - you need to have enough of an advantage that you can afford to give away systems without risking your dominant position when it comes to warzone control. On the other hand, you also need the opposing militia to believe they have the potential to turn the tide - they need to be constantly capturing systems too, rather than defending the ones which you're attacking. Because of this, a puppeteer strategy is only really viable for a limited time - there's only so long that one side can keep flipping the same systems before they realise they're being toyed with, and once they realise that they're probably not going to keep on doing it (incidentally this means that if playing the puppeteer really is the minmatar's aim, broadcasting the fact for propaganda purposes is probably not a good idea). This is the scenario which I really wanted to talk about. What should a militia do from a metagame point of view when they know they're outmatched? Taking systems is futile since you know that the opposition will take them back, and as I mentioned earlier this will give them a far better return than it gave you for taking it. You don't want to feed your opponent LP and you don't have the numbers to reach a gentleman's agreement, however you can still deny them the opportunity to farm you. The first thing to do is not to capture any systems which you cannot hold - keep only those systems where you know that you can respond quickly and decisively to any attempt at offensive plexing. In the extreme, you could even allow the opposition to control all warzone systems and base outside of the warzone entirely - in a neighbouring hisec or lowsec system. In either case, plexing will now be much more difficult for your opponents and the puppeteer system will cease to operate (obviously they can still make LP through missions and any PVP that you give them, but they could do that already). You don't need to capture an entire system to make LP from it, you simply need to capture plexes there. With your opponent holding almost all of the warzone, you're free to offensively plex and generate your own LP in any system you like - feel free to plex them all as high as you want so long as you never actually capture the system; your opponent will get no LP for defending them against you. Your LP won't be worth much because you own so few systems, but unfortunately there's not much that you can do about that - at least you're denying it to your opposition. Plexing their upgraded systems will also remove the upgrades, forcing opposition pilots to put more LP into their systems or risk losing some of their warzone control bonuses. This strategy is likely to quite quickly turn destructive for both sides. With no systems changing hands there will be less interest in the conflict; fewer new players will join the passive aggressive militia because it will be perceived as having lost, while PVPers and active plexers will leave the opposing militia because they will have no systems to take and fewer targets for them to shoot at. In effect, the passive aggressive strategy attempts to reset the warzone by forcing both sides to haemorrhage numbers until either the passive aggressive side decides to start being a puppet again, or the dominant side is weakened enough that both sides can be competitive again. The basic flaw to the above arguments is that people in FW use FW to make isk. Many people do use FW to make isk and many more have joined FW to make isk. But this is not a major portion of the players, especially the roleplayers in FW. The roleplayers were taking systems before this new system was set up and will continue to do so regardless of income made. FW is cheap. The main advantage of the FW LP store is cheap faction ships, cheap faction ammo and cheaper implants. With most pvp at the frig/destroyer level it is in no way finacially difficult. There are good opportunities for cruiser and BC level fights and occaisionally we gear up in battleship+logistics fleets for bunkers or POS bashing, but these are not too common for wallet concerns. The farmers will farm but the FW core will still compete to own systems and have the good fight. Sure, I completely agree - this is purely a theoretical discussion about what, if LP/isk was your only concern, you might do to maximise it. I for one am in FW for the fights and couldn't care less about LP, and I know most other are the same. I joined Minnie FW purely to make ISK. Deleted for want of an "edit" button. Many people have joined Minmatar faction warfare in order to exploit the ease with which Amarr plexes can be speed-tanked. The time to do this, however, has passed. The market is now flooded with Minmatar faction goods and prices are beginning to plummet. Industrious Minmatar would be wise to dump what they can now if they need the ISK. Otherwise, solidate your LP while we have T5 and T4, and wait for the market to regain it's health. There's nothing wrong with farming plexes now and then. It's certainly nice to be able to not care about how much ISK you're detonating. What is stopping the "puppeteer" from using alts to aid the lesser milita in turning systems, so that the dominant milita can simply retake it? This could happen deep in the dominant milita stronghold, and is a simply "Farming" technique. Nothing. In fact if you managed to get an alt (or simply an infiltrator) at FC level in the opposing militia you could use that to influence which systems they take, making sure it was always something that you could take back easily. 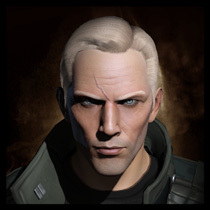 You know who else let RP players dominate their faction? CVA. You know what happened when RP players made strategic decisions? They lost Providence. If the Minnie faction is letting RP players call the shots on their operation, it won't be long before the faction self-immolates. While we have achieved (somewhat) no. 2, I believe it is more a product of our numbers and the nature of FW than any sort of actual thought-out plan. By giving rewards to attacking, but not to defending, it means, ultimately, that people will start trading systems back and forth. I don't know if that's what CCP had in mind for the system, but it seems rather artificial to me. In another game I played, the game maker set a specific area up in the same way, where the attackers got a certain number of points for winning, but the defenders got very little for defending. This encouraged the defending side to pretty much not show up, at all. This "win trading" was eventually noticed by the game maker, and the rewards balanced somewhat to encourage defenders to actually show up again. While I don't do FW, and have never participated, it would seem to me that this is what might happen there, too. There's no real incentive for the dominant side to do much more than "allow" the other side to take a few non-important systems purely so they can retake them and reap the larger rewards. Meanwhile, the other side is basically fighting for scraps, and may eventually just give up altogether, since "what's the point?" I can see the Gentleman's Agreement scenario happening at some point for a few rounds but eventually someone would soon poison the LP well. At this time I don't see any single faction, even the Minmatar, as strong enough for the Puppeteer option. Although I so want to be on the side that can pull it off. As an Amarr I do not see us being organized enough to implement the Passive Aggressive strategy. If one were to check the map each day, and perhaps the prices on certain high-volume faction items, Caldari and Gallente would seem to be locked in a Gentleman's Agrement.